S Babu Arunachalam (ARN 10520 EUIN E036140) is an AMFI Registered Mutual Fund Advisor (ARMFA). The mutual fund industry in India started in 1963 with the formation of Unit Trust of India, at the initiative of the Government of India and Reserve Bank of India. The history of mutual funds in India can be broadly divided into four distinct phases…MF History. 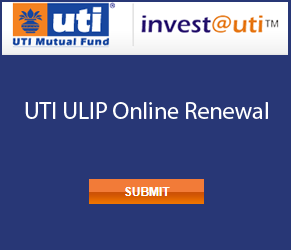 Note: Erstwhile UTI was bifurcated into UTI Mutual Fund and the Specified Undertaking of the Unit Trust of India effective from February 2003. The Assets under management of the Specified Undertaking of the Unit Trust of India has therefore been excluded from the total assets of the industry as a whole from February 2003 onwards. Mutual Funds in India are governed by the SEBI (Mutual Fund) Regulations 1996 as amended from time to time. For further details please visit the SEBI Website. The Association of Mutual Funds in India (AMFI) is dedicated to developing the Indian Mutual Fund Industry on professional, healthy and ethical lines and to enhance and maintain standards in all areas with a view to protecting and promoting the interests of mutual funds and their unit holders. AMFI, the association of SEBI registered mutual funds in India of all the registered Asset Management Companies, was incorporated on August 22, 1995, as a non-profit organisation. All the Asset Management Companies that are registered with SEBI, are its members. Are You New To Mutual Funds? There’s no rocket science involved with Mutual Funds. They are easy to understand. 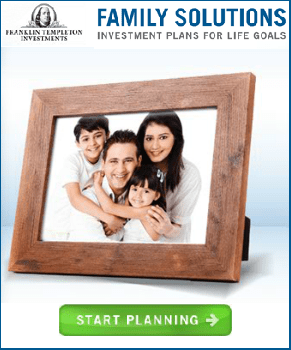 Start Savings With Mutual Funds, What is a Systematic Investment Plan, SIP? Let your savings take a new avatar with Mutual Funds. Traditionally, investing was very one dimensional. You could either invest your savings into options with a fixed tenure like FD, PPF and NSC, or in shares which are linked to the Markets. But to have access to your money there was no alternative to a savings account. But with the arrival of Mutual Funds, a lot has changed in the investment scenario. Things have become a lot more dynamic since Mutual Funds offer schemes that are literally managed to suit different investment tenures as well as provide high liquidity. As long as you stay invested for the recommended duration of a scheme, you can rest assured that the returns earned are optimal. As if that wasn’t enough, you can invest as much as you want at absolutely your convenience! So now that you’re a little more confident in your knowledge of Mutual Funds, another stepping stone would be what is the simplest way to test out or start investing in Mutual Funds? The easiest way would be to start an SIP or Systematic Investment Plan. An SIP is not a scheme but rather a feature that is available in most schemes, which allows you to invest a fixed sum either monthly or quarterly, for a predetermined period decided by you. Just like tiny droplets of water that join together to form an ocean, each little installment you pay in an SIP will one day amount to a lot. And the best part is that you can decide the amount of each installment! They promote a disciplined approach because you’re committed to invest a fixed amount on a regular basis. They ensure that you’re not swayed by any market sentiment. You are free to choose any amount and in most schemes you can withdraw at your convenience. So now do you agree that Mutual Funds are indeed savings in a new avatar? Before you commit to any fund, there are a few things you need to sort out first. It is extremely helpful if you map out your financial goals. With a set goal in mind, everything you do in some way is a step toward achieving it. It is never a good idea to invest based on hearsay. There’s no point in trusting unreliable sources because you’ll only end up being side tracked from your path. Hence it is always a good idea to consult a financial advisor or planner, who can assist you in choosing the right funds. Once you have decided on the funds and the amount, the actual task of investing is far simpler. All you have to do is fill up a KYC form and the relevant scheme form. Once your investment is made, you get a transaction confirmation on your mobile and an account statement on your e-mail ID. Are You Already An MF Investor? How does your money appreciate in a debt fund? What is average maturity and how is it useful? Why is it essential to match the investment horizon with that of the scheme? What are Money Market or Liquid Funds? You’ll be surprised how easy it is to understand and calculate your returns! Understanding Alpha? How Does It Measure The Fund Manager’s Contribution? What is a fund fact sheet? How do I withdraw my investments? When can I get my redemption proceeds or dividend payments? What is a Consolidated Account statement (CAS)? When does one receive the Consolidated Account Statement? What is the basis for consolidation of portfolios to be considered for CAS? Will all of my portfolios be included in the monthly CAS? So what happens if there are no financial transactions in a particular portfolio for a month? Which financial transactions will be included in CAS? Suppose I hold units in the dematerialised mode, will I still get a CAS? What if there are no transactions in a portfolio for a long period? Will minor’s portfolios be considered for consolidation? Will a statement be sent in cases involving portfolios not included in CAS? What investor details will the CAS include? What investor details will the CAS exclude? To which address will the CAS be sent to if I have provided different addresses in the portfolios? If for any reason I need a duplicate CAS, what is the procedure I should follow? Do you also get an individual statement from the AMC? How can I verify that details mentioned in the application form are captured correctly by each AMC? What do I do if some of the portfolios are not reflected in the monthly CAS? In case of any discrepancy in portfolio related details in the CAS, what should one do? KYC is one time exercise while dealing in securities markets – once KYC is done through a SEBI registered intermediary (broker, DP, Mutual Fund, etc), you need not undergo the same process again when you approach another intermediary. And why does one need to have cut-off times for purchases and redemption’s? BSE – Bombay Stock Exchange of India Ltd.